Excellent knowledge of the Android SDK and Architecture. 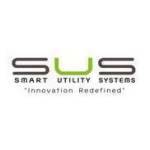 Smart Utility Systems is the global leader in innovative products and services for the energy and utility sector. We bring deep experience and knowledge of Smart Grid, Smart Metering/AMI, Energy Efficiency, Energy Management, and Demand Response solutions that will maximize your investment in AMI. Our collaborative approach will help transform your business processes and systems to meet the demands of tomorrow. Our deep understanding of current and future business challenges, and effective utilization of homegrown smart innovative technology combine to make us a global leader in transforming utilities.